Harcourts is a Large-scale organisation that has almost 400 offices in Australia alone, meaning any client dealing with Harcourts has great opportunities in ensuring their real estate goals are not only met but also exceeded. Harcourts Unity specialises in Springvale, Noble Park, Keysborough, Dandenong and other neighbouring areas as our office located at 30 Douglas Street, Noble Park. Our team is highly experienced in all facets of real estate including; property sales and leasing, rental property management, auctions or private sales, marketing, negotiating, buyer management and open for inspections. We can help with either residential or commercial properties. The Harcourts Unity is a passionate dynamic team of professional achievers who excel through enthusiasm, determination and a commitment to delivering a superior service. Experienced with the real estate industry, Harvey has created some strong long lasting relationships with buyers, vendors and builders. 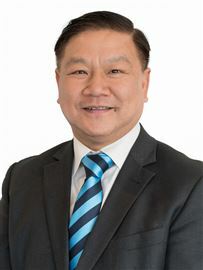 Harvey is fluent in Vietnamese, Chinese and English and has exceptional knowledge of the market within the Noble Park, Springvale and Dandenong region; having worked in construction he has developed a strong understanding of how the build of each property works. Highly focused, perceptive and persistent, Harvey has a warm and engaging personality helping clients feel comfortable and at ease during the stressful progress of finding and selling a property. Harvey has not only an intricate knowledge of the industry, but also extensive experience to share, ensuring that his clients are always provided with the best customer service and ongoing advice and support. Kim is a licensed estate agent that has been working within the industry for more than 10 years with great social skills and a warm sense of humor; she developed a real enthusiasm and passion for the industry. 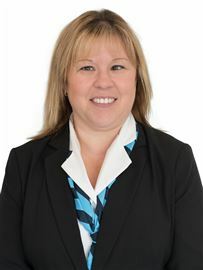 Kim’s knowledge of the local Real Estate market has been developed through a lifetime of personal experiences. She works closely with assisting many landlords in protecting and ensuring the maximum benefit from their investment while also helping tenants in finding their perfect rental property. Kim is an excellent communicator who thrives on challenges and finding solutions to demanding situations, this is why she is the right person for you. Some of Kim’s testimonials “Glencoe Gr, Dandenong” “I moved to Melbourne with my family in March 2013 and approached Harvey Real Estate in Noble Park for rental properties. We received a very warm welcome and even though we arrived late for the viewing, Kim Vu waited for us and allowed us to view. After handing in our application, everything was processed swiftly and we moved in. Communication with both the estate agent and the landlord was easy and amicable. We received prompt and friendly responses to all our requests. I totally enjoyed the service and professionalism of the whole team at Harvey Real Estate and if I come back to Australia I will definitely be contacting them for another house. -“ Sethukani Jele “41 Jacana St, Noble Park” “Hello Kim and Harvey I want to say how happy Ian and I are with the professional service, friendly staff and excellent result that we had with the sale of our house. You recognized what we needed, listened to what we wanted and achieved an excellent result in an amazingly short time. I would have no hesitation in recommending your agency to anyone I know. Thank you Kim and Harvey." “17 Serpentine Road, Keysborough” To Kim, YOU are the best agent I have ever known, you have made my family and I so happy with everything you have done for us. You provide us with friendly, efficient, first class service every time we approach you and you have just made our move to our next home so much smoother, simpler and less stressful due to your professionalism and efficiency. We appreciate all your hard work. May you and the team at Harvey Real Estate have another prosperous and successful year in 2015!! Beth has enjoyed a successful career spanning over 26 years in Property Management, largely in the Noble Park/Dandenong area. Growing up and working in the area has given her a wealth of local knowledge. Beth has an honest and caring approach along with excellent customer service. Beth has built a strong and successful repour with her clients over the years due to her professionalism and mature approach. Beth is always willing to assist in mentoring her colleges but most of all, is dedicated to looking after her clients. 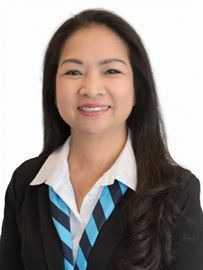 Fang is the office administrator of Harcourts Unity; she is an experienced receptionist and is exceptional with her organizational and management skills. 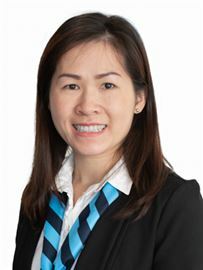 Fang is a hard committed worker and provides the highest level of personal and professional customer service to all her clients and colleagues, she does a lot of the ‘behind the scenes’ support to our Harcourts Unity Team as she strives to ensure the most efficient service. Contact Fang to discuss any further information or inquires in regards to our properties. Big Double Storey Family Home!